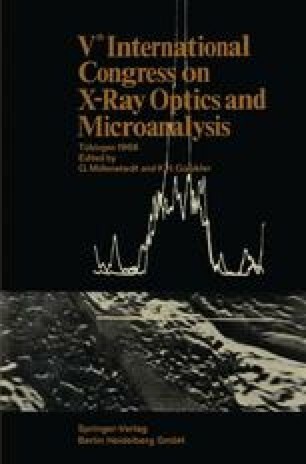 While the most important examples of microprobe analysis have come from the use of an electron probe to produce excited states in the specimen and an X-ray analyzer to detect the radiative decay of these excited states, other forms of local excitation have also been used, for example, a focussed ion beam or a focussed or collimated photon beam. The signals that result from the local excitation can also assume many additional forms such as backscattered electrons, secondary electrons or ions, and optical radiation. Some of these signals obtained with electron beam excitation have been discussed in W. C. Nixon’s review paper at this conference .